As Memphis progresses to the NCAA competition, everyone's eyes are on the court. But off the court, The University has already lost to the other three teams involved in the competition. Compared to its opponents in the Final Four, The University of Memphis has the lowest total student graduation rates. The University of North Carolina and The University of California both graduate eight out of ten of attending freshmen within six years. The University of Kansas graduation rates are lower, with just over half graduating in six years, but are still ahead of The U of M.
At 33 percent, The U of M's six-year graduation rates are the lowest in the state. Out of the nearly 2,000 freshmen that come to The University every year, only about 700 will graduate within six years. 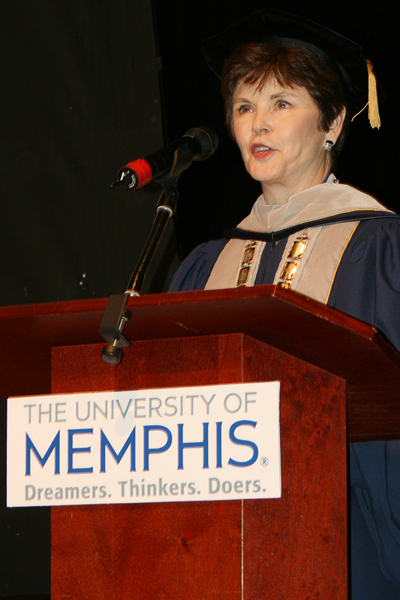 University of Memphis Provost Ralph Faudree said that the administration is taking steps to improve the graduation rates. "We're getting better, but the question is how quickly," said U of M provost Ralph Faudree. "Every three years, we graduate about 13,000 students." 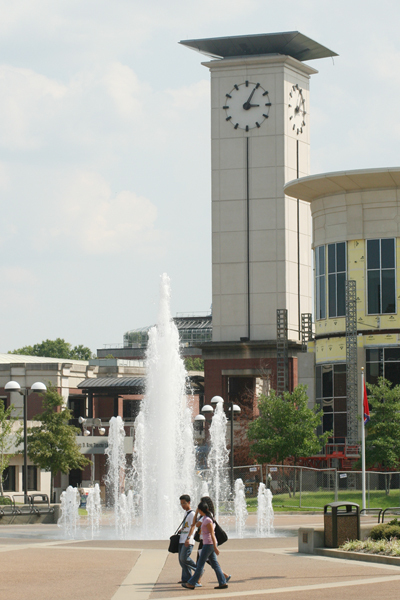 Faudree said there are several factors that led to The University's low graduation rate, the most notable of which being the location of The University itself. "If you look at universities that are located in residential areas, you will almost always see a higher graduation rate than those in metropolitan areas," Faudree said. 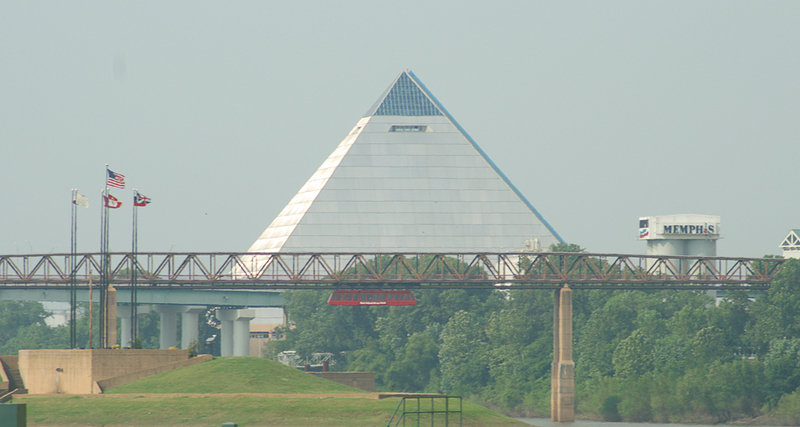 Faudree said all of the other teams in the Final Four belong to colleges in more residential areas, and The U of M is more similar to universities in Houston and Louisville, both of which are located in more urban areas and have graduation rates very similar to The University of Memphis. Tigers basketball players also contribute to low graduation rates. In three of the past seven seasons, none of the eligible players graduated. Tom Nenon, vice provost of assessment, said that the more successful Tigers athletics become, the more student athletes they will have leaving for one reason or another. “If a player walks on they’re probably not going to get a lot of playing time,” he said. “He or she may want to go to Lambuth and play instead of sitting on the bench. That counts as a ‘did not graduate.’” Any player leaving The University for any reason is counted as a “did not graduate,” whether they were an early draft to the NBA or a transfer. Nenon said the administration has made changes and in the past few years incoming freshman GPA is up from 2.5 to 2.81. He also said there is a “lag-time” before changes in policy are reflected in graduation rates. Walk-on student athletes are often not considered in NCAA graduation success rates because the NCAA only counts students who receive athletic scholarships. Joe Luckey, director of athletic academics, said basketball coach John Calipari is very focused on graduating his athletes. Since fall 2000, 21 total men’s basketball players have graduated and 17 of them were Coach Calipari’s seniors. Luckey said in the next reports, Tiger’s Men’s Basketball is projected to graduate 64 percent of its athletes, and there is a system being put in place to help preserve the high graduation rates if Calipari were to leave the U of M.
“Hopefully, that coach would embrace or support the system,” Luckey said. Even though the NCAA and other orginazations use a six-year scale for judging graduation rates, but Faudree said that a four-year graduation is far from an ideological myth and many people are still able to graduate on time. 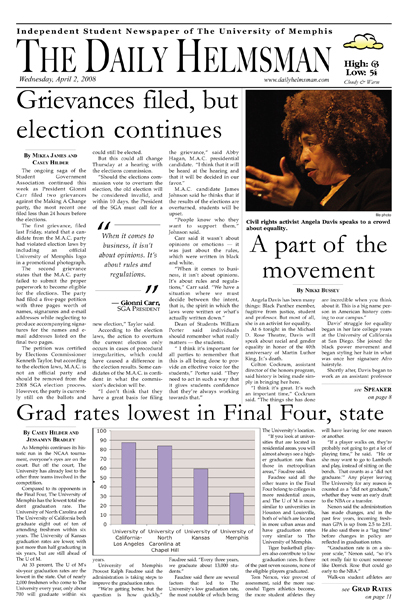 "I think students are coming to The University with broader agendas," he said. "There are programs geared to allow graduation within four years, and it's a requirement for lottery scholarship recipients. Economically, it's the best way to go."